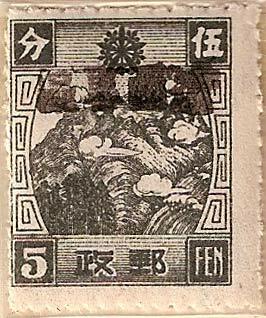 This is a complete set of ten stamps overprinted with a black rubber chop reading 遼西地區 West Liaoning Prefecture. The set is known to be a Communist issue. 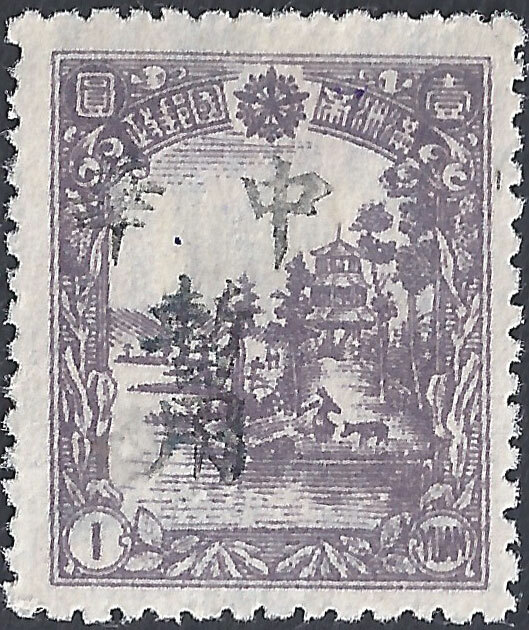 See also Kerr 121, Liao Si, this is a similar overprint produced by a wooden chop. 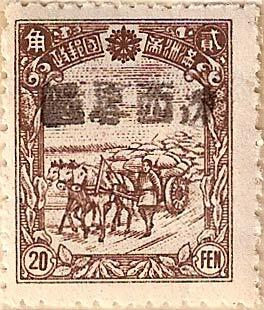 Chan lists 14 values, 4 more than Kerr, these include 4f, 12f and the 1936 version of the 20f and the 30f, if they exist they are not authorized issues. 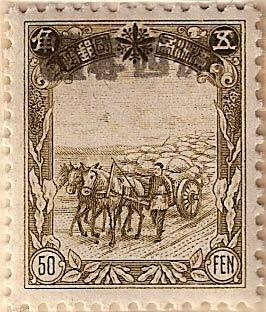 It is possible they are based on inaccurate reporting and confusion with stamps from Liao Si. 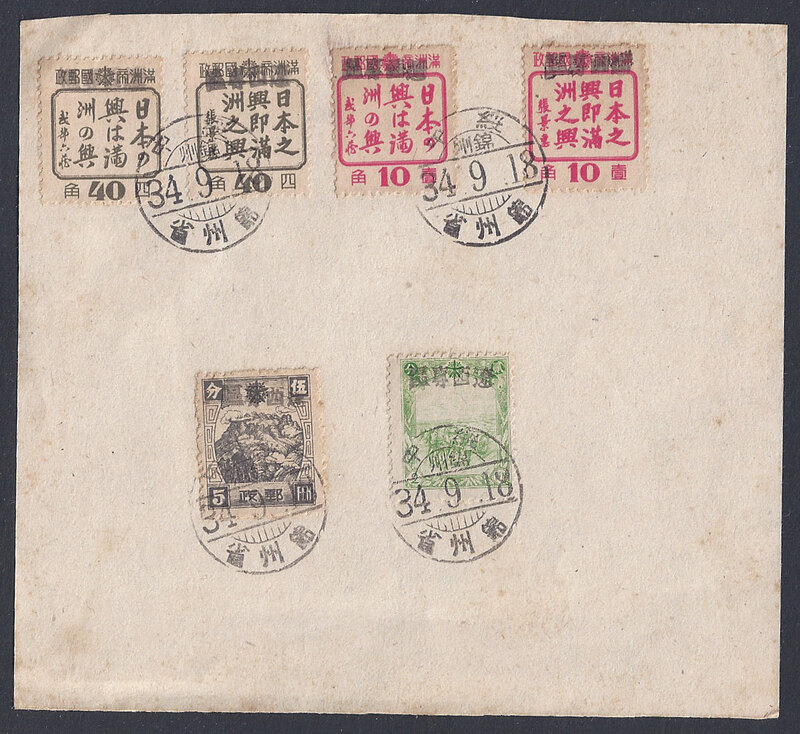 Stamps from 綏中Sui Chung on part of a wrapper with a postmark dated 18th September 1945, the earliest recorded example and possibly the first day of issue. 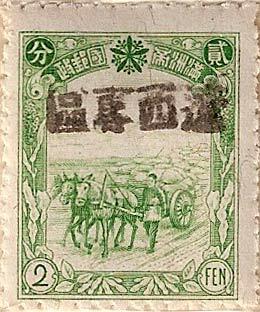 This is a Mukden Type overprint, it is listed by Chen or Kerr as coming from Chung Chien however in The Post-war Provisional Issues of North East China, MLO Volume 1. written by Dr George T. Luzitano it is shown as FT62 and associated with Sui Chung. 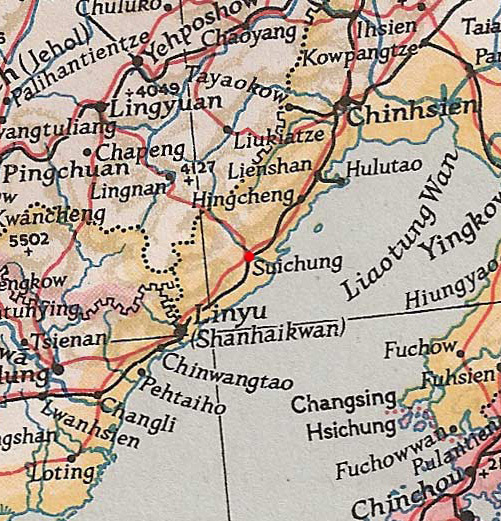 Sui Chung is also in Chin Chow province. 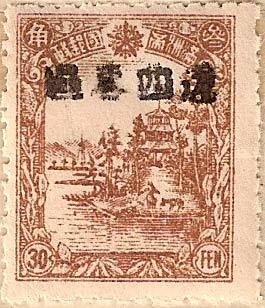 All Mukden Types overprints are very similar and have the same four characters 中華 China, 暫用Temporary Use and almost all of these overprints are in black. 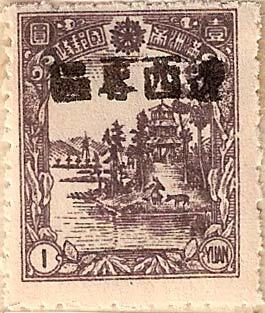 This version is unusual because of it small size. These are the only sets of overprints known for this village.